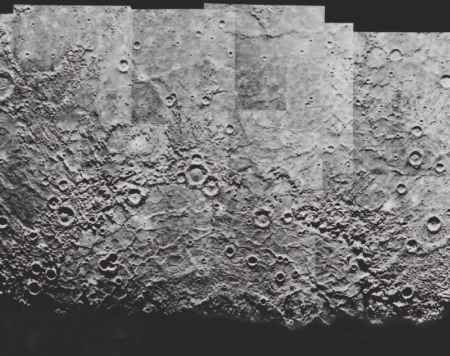 The surface of Mercury is heavily cratered and looks very similar to that of our Moon. Most of the craters are impact craters formed from bodies colliding with the surface. The distribution of craters on Mercury, the Moon and Mars are similar, suggesting the same kind of object was responsible for the impacts on each body. One of the largest impact features on Mercury is the Caloris Basin. This basin measures about 1300 km across and has been partially flooded with lava from volcanic activity. It was probably formed by a very large impact early in the history of the solar system. As the basin floor settled under the weight of volcanic material, fractures and ridges formed. 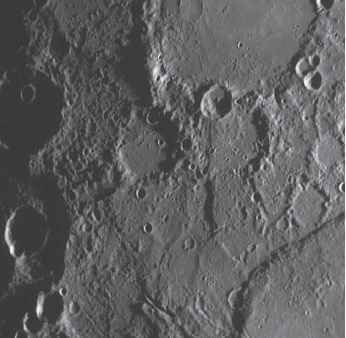 In addition to the heavily cratered areas, Mercury also has large regions of smooth plains formed by ancient lava flows. Mariner 10 also revealed some large escarpments over the surface, some up to hundreds of kilometres in length and three kilometres high. Some of these cut through the rings of craters, and others seem to be formed by tectonic forces. The largest scarp or cliff observed to date is Discovery Rupes, which is about 500 kilometres long and 3 kilometres high. Such scarps are thought to have formed as a result of global compression and tectonic activity as Mercury cooled. 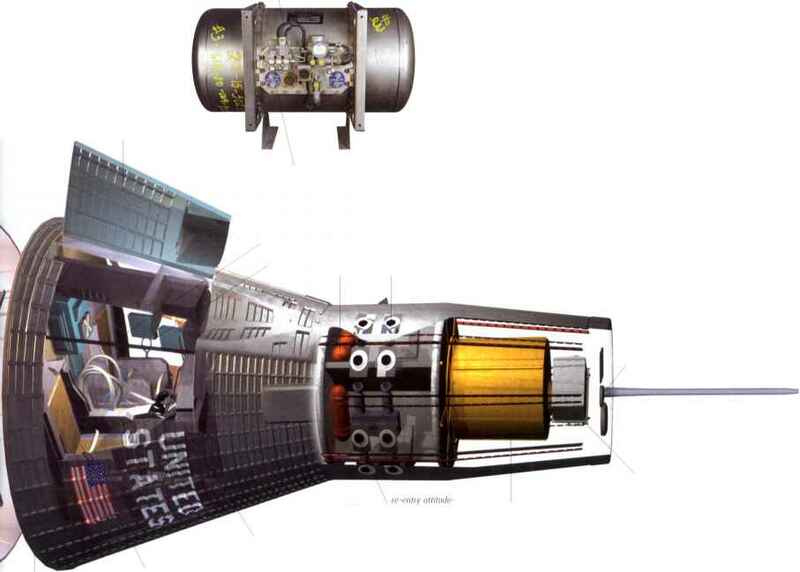 Although data collected by Mariner 10 suggests that recent volcanism has occurred on Mercury, many of Mercury's craters are not covered by volcanic flows, indicating that they were formed after volcanic flows ceased. Heavy bombardment of the planet ended about 3.8 million years ago. Recent radar analysis has found that a number of craters near each pole have high radar reflectivity, suggesting the presence of ice. The interiors of these polar craters are permanently shaded from the Sun's heat, making the preservation of ice possible.